Fitness Australia’s Manager of Standards and Development, Chris Alexander, is representing the Australian Fitness Industry at the International Confederation of Registers for Exercise Professionals (iCREPs) forum being held in Dublin Ireland. Other international registration bodies attending include REPs NZ, US REPs, REPs UK, REPs UAE, REPs Canada, REPs South Africa, REPs Ireland and REPsPoland, collectively representing over 220,000 exercise professionals. 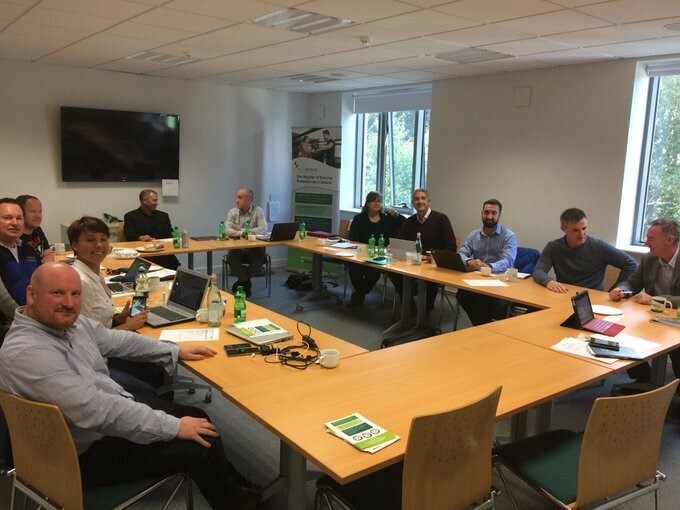 “It’s a very productive couple of days where global leading registration bodies can come together to discuss best-practice systems,” shares Chris. Fitness Australia is a member of iCREPS which allows collaboration with associations from across the globe to guide the continuous improvement of the Australian Fitness Industry. Countries that are represented as part of iCREPs are part of the system which allows Fitness Australia Registered Professionals international portability – the chance to recognise Australian qualifications – for opportunities to work overseas. Other countries due to be included as members of iCREPs are China, India and Spain.